A paper posted online in November 2008 by a blogger known as Satoshi Nakamoto, outlining the protocols for a peer-to-peer currency and payment system that would operate without banks, including a central bank to control the money supply, would have barely attracted a passing glance in most financial centres in the world. Banks had other things on their minds: the world’s financial system was on the verge of meltdown following the collapse of Lehman Brothers bank. Moreover, the approach Nakamoto suggested must have seemed like a recipe for chaos: a currency which anyone could issue and in which transactions did not go through bank accounts or formal payment systems. Yet that paper spawned one of the most controversial and potentially disruptive financial innovations of the last few years, Bitcoin. The Bitcoin system, based on open source filesharing, automatically creates a ledger of all transactions and how one transaction leads to another. Each transaction is, in effect, a transfer of a bit of data, protected by a military-grade piece of cryptography. The new owner of the encrypted data – a digital version of a bank note with a water mark – can see its entire history, where it originated and how it changed hands, and then use it to buy something else. It is as if when you took a £10 note out of an ATM machine it came with a complete history of all the other transactions in which it has ever been used as testimony to its value and trustworthiness. Bitcoins can be exchanged for goods and services: one of the first transactions was to buy a pizza. In the wake of the financial crash and the ensuing deep recession, Bitcoin became hugely popular as an alternative to mainstream money. The system is widely used all over the world, by non-profits and local businesses to trade with one another without using formal money and going through a bank. 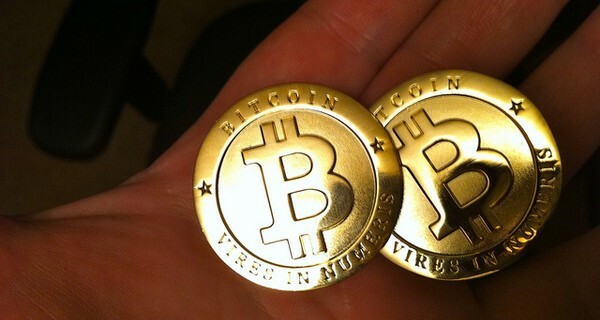 As of March 2013 there were more than 10.5 million bitcoins in circulation. Bitcoin has its fair share of critics and doubters who argue it is prone to bubbles and open to fraud, both too volatile and too inflexible. The financial services regulators want parallel currencies to be properly supervised and many doubt whether it can be legal tender.Yet for all the doubts, Bitcoin has done something remarkable. It is prompting people to rethink what money is, where it comes from and why we need banks to organise it, especially when they make large sums of money in the process. Seen in the light of the financial crisis, a self-regulating peer-to-peer system to create money is perhaps not as mad as it seems. Bitcoin generates trust by connecting traders peer to peer, through encrypted protocols and by providing a complete history of each trading unit. Just as Napster and Kazaa opened the way for the disruption of the recording industry, so in time Bitcoin might be seen as the innovation which opened up new approaches to money and banking.